Almost every parenting article is accompanied by a stock photo, and with good reason. After all, they're well-lit, beautifully composed and capture moments that (presumably) perfectly illustrate the concepts presented in the article. I assume we're meant to relate to the moms/models in the photos on some level, but how often do those pictures accurately represent your experiences as a mother? I see them so often online that I barely even notice them anymore, and I bet you don't either, so I decided to bring the Internet's supporting photos to the forefront for a minute. 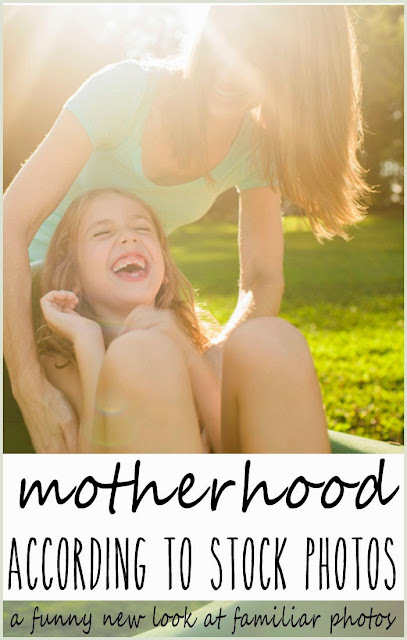 Pop over to momdotme for the story of a typical mom's day, as told by stock photography. How well does it resemble YOUR real life?